The Metro Richmond Zoo is pleased to announce the opening of our new Pygmy hippo exhibit. The Pygmy hippopotamus is a rare species native to swamps and rivers in forested areas of Liberia, Sierra Leone, Guinea, and the Ivory Coast. They are highly endangered, with only 3,000 individuals remaining in the wild. At the Zoo, guests can come face to face with Corwin and Iris, our two Pygmy hippos. Corwin is a 2 year old male and Iris is an 11 year old female. 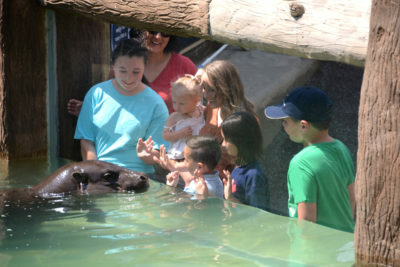 The new exhibit provides our visitors with incredible views of the Pygmy hippo on land and in the water. 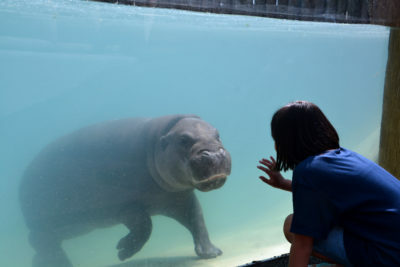 People can interact with the hippos through our underwater viewing window. Pygmy hippos share the same general form as the Nile hippo. 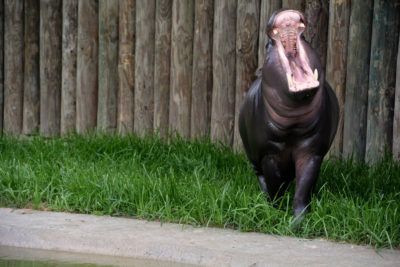 However, the pygmy hippo is half as tall as the Nile hippo. 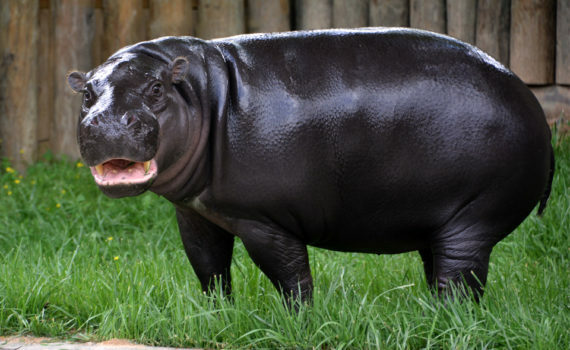 Adult pygmy hippos stand 2.5-3 feet tall and are 4.9-5.7 feet in length. They weigh 350 to 600 pounds. Pygmy hippos are semi-aquatic and rely on the water to keep their skin moist and cool. Construction on this exhibit began in the Fall of 2016. It is the Metro Richmond Zoo’s most expensive and detailed exhibit to date.